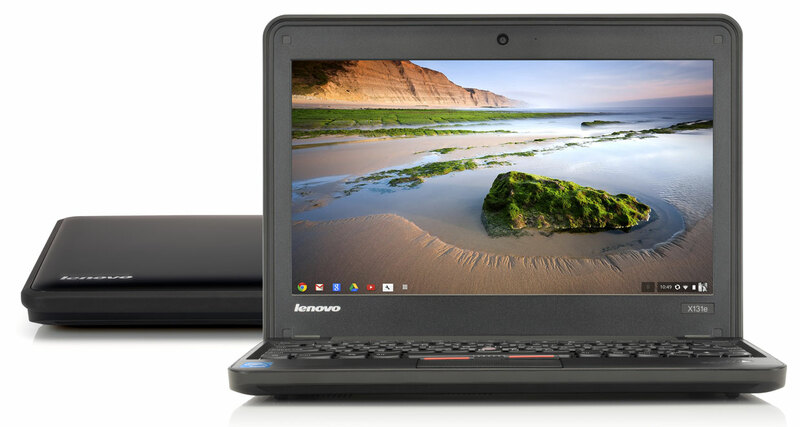 Lenovo introduces its first Chromebook. However, instead of equipping a completely new product with Google's cloud operating system, it is for the time being on the famous Lenovo ThinkPad X131e ruggedized notebook that will be offered with Chrome OS for the education market. In recent days, made even more appropriate rumors spread what Lenovo wants to be involved in the Chromebooks. Today we have certainty, because according to ZDNet let Google recently announced that it is the Lenovo ThinkPad X131e will be available from March in the United States as a Chromebook. That machine will then be available for secondary schools who want to spend as you wish configured to their students. Lenovo has a good reputation for its robust and durable notebooks, why one was satisfied with cooperation, shared with Caesar Sengupta, who at Google is as director of product management working for Chrome OS. The Chromebook Lenovo is basically a variant of Windows already longer available ThinkPad X131e. It is a 11.6-inch notebook with a matte display and 1366 × 768 pixels, which is based on an Intel CPU and has three USB ports, HDMI and VGA outputs, a webcam and a card reader. The battery should be sufficient for a full day of school, so Lenovo. By using a provided with surge protection strip housing the unit shall withstand the somewhat harsh treatment by some students. If and when the device will be available in regular trade and outside the U.S. with Chrome OS is not yet clear. Initially, only the education market is served, because Google sells Chromebooks to schools as part of agreements that combine the hardware and support for a low price. Update: Meanwhile, the picture above was published showing Chrome OS on the Lenovo ThinkPad X131e. Moreover, since a price was mentioned - the device will be available for purchase from $ 429 plus $ 30 for unique support for schools. For your platform here but there are still no data, however, we must assume that no device comes along with an Intel Core i5 or higher. For comparison, the best Windows version costs $ 619 grand.